With the recent eruptions in Hawaii, America is more interested than ever in volcanic eruptions. Volcanoes are a fascinating topic: if they’re active, they could rest peacefully for decades, or erupt at any moment. We’ve compiled a list of eight must-watch volcanoes for 2018. In reality, any of these volcanoes could be the next to go. It can be almost impossible to know ahead of time. Either way, these eight volcanoes are well worth watching. 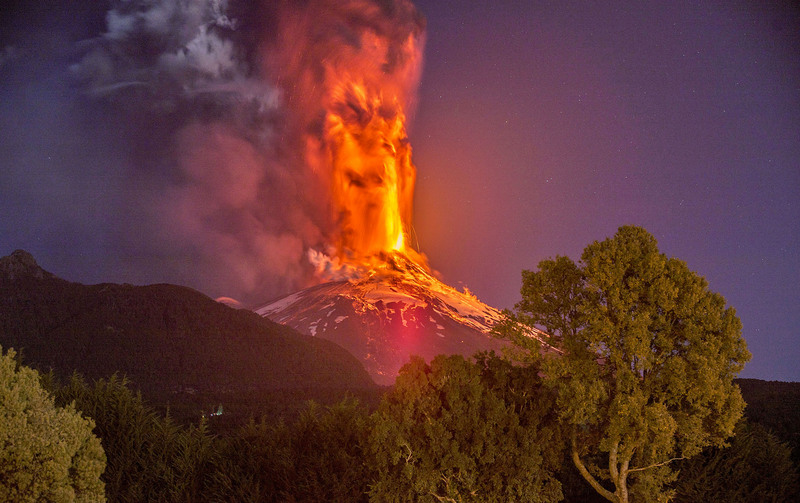 Not every volcano has an active lava lake, but Villarrica does. You might think of Chile as warm, but Villarrica is covered in snow, looking more like a peaceful mountain than a life-threatening volcano. Don’t be deceived by appearances, however: Villarrica has been increasing in both seismic and lava lake activity. The lake has been producing lava fountains up to 150 meters high, so it’s definitely one to keep an eye on.